If you like the look of the Crosstrek but don't need the off-road ability or extra ground clearance, don't forget to take a look at the related 2013 Subaru Impreza hatchback. The 2013 Subaru XV Crosstrek aims to provide the kind of trail ability and space for gear that weekend adventurer types need; but it also looks like a great value for Snow Belt commuters and small families -- and an alternative to bulkier crossover utilities. The 2013 Subaru XV Crosstrek may be best thought of as the automotive equivalent of a good cross-training shoe--not sharply honed for any one thing, but surprisingly fit and fortified for a wide range of conditions. As the epitome of a crossover, the Crosstrek looks brawnier yet not too carlike; it adds some rugged off-road ability but still handles like a hatchback or sport wagon on the road; and it offers some pretty impressive cargo space, versatility, and places to stow gear--for the trip out to the ski slopes, the campsite, or the beach. Up close, or from afar, the 2013 Subaru XV Crosstrek is what it is, which is a hatchback, built up with more ground clearance, protective lower-body cladding, and all sorts of more outdoorsy and off-road-oriented cues--many of them functional, some of them, perhaps intentionally, resembling outdoor gear and wear. Yet at the same time, the Crosstrek's differences yield a completely different stance and entirely different proportions it seems, with a certain level of the familiar Outback charm. Inside, it's mostly just a matter of some new upholsteries to fit the character. To make sure it's good for the trail, the Crosstrek gets good cleats--up to 8.7 inches of ground clearance, plus various suspension and structural reinforcements, improved engine cooling, unique front fenders, and body cladding, that altogether make it quite different than the Impreza hatchback on which it’s based. It also has good approach and departure angles (of 18 degrees and nearly 28 degrees, respectively), and with its all-wheel-drive system, which is always sending power to all four wheels, we think it might be one of the best vehicles yet for snowy New England driveways. Handling is surprisingly nimble on the road, considering how well the Crosstrek rides and how well it soaks up harshness from trails and gravel roads. The sore point for some may simply that it's lacking some muscle. Go with the five-speed manual, and the Crosstrek feels far more charming, especially when you need do order up some power quickly at lower speeds. 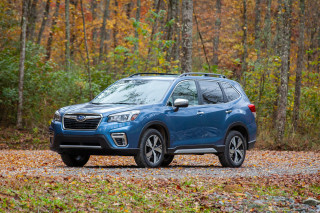 With 148 horsepower for about 3,200 pounds in a fully loaded Crosstrek Limited, and the engine’s peak 145 pound-feet of torque not reached until 4,200 rpm, this is not a sprightly or quick vehicle, and the available CVT can exaggerate the lag in power delivery. On the plus side, you get phenomenal fuel economy for a crossover (the best in the class, really), at up to 25 mpg city, 33 highway with the CVT (or 23/30 with the manual). Cabin accommodations go well beyond the expectations of the granola set, although they won't be any sea change to anyone who's owned a Subaru before. Seating is arranged well enough so that adults can fit fine in back--and get in and out easily--and seats flip forward to a flat cargo surface. All models include a rubberized cargo tray that's easily removed and hosed off, and the roof rack on all models is standard and can carry up to 150 pounds. Crosstrek models come rated to tow up to 1,500 pounds, too. Adding on to its appeal is a smooth, refined ride is a step above rival models like the Nissan Juke, Mitsubishi Outlander Sport, and MINI Countryman. About the only thing that not everyone will warm up to is a set of materials and trims that are merely average for this price range, and that some interfaces for audio and trip-computer displays feel clunky and outdated. 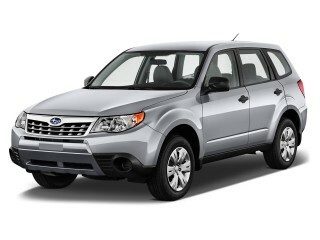 With a starting price of just $21,995, the 2013 Subaru Crosstrek Premium makes a very strong value proposition. 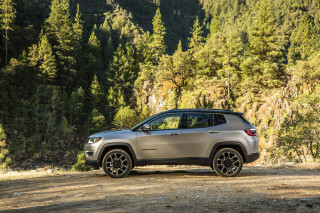 Keyless entry, air conditioning, power accessories, and cruise control are all included even in this base model, as of course are all-wheel drive. Leather upholstery, leather shift-knob and steering-wheel trim, automatic climate control, and a fold-down rear-seat armrest with cupholders are all extras that you get with the Limited. They also get a step-up display audio system with 4.3-inch screen, rear camera and HD Radio, and a navigation system with XM NavTraffic, voice control, and text-messaging ability is optional. 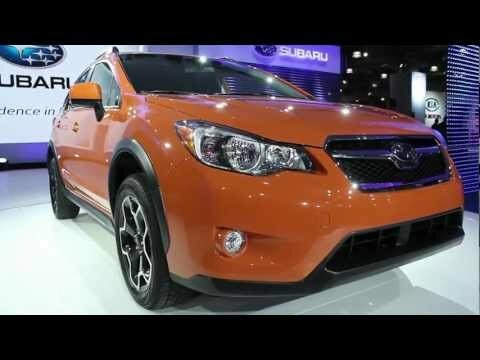 The 2013 Subaru XV Crosstrek looks like a small hatchback on steroids--and that's actually what it is. Up close, or from afar, the 2013 Subaru XV Crosstrek is what it is, which is a hatchback, built up with more ground clearance, protective lower-body cladding, and all sorts of more outdoorsy and off-road-oriented cues--many of them functional. The Crosstrek essentially has exactly the same sheetmetal as the Impreza hatchback (except slightly different fenders), but with an entirely different set of details. But since the Crosstrek rides nearly four inches higher than the Impreza, you might not notice the similarities at first glance. 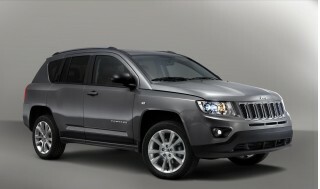 Strategically blacked-out cladding help accentuate the added ride height, while vertical strakes at the rear fascia also help make it look higher and more like a utility vehicle. The so-called 'falcon' headlamp design is the same as in the Impreza, but more blacked-out lower cladding (and perhaps the expanded color palette, which includes Tangerine Orange) also helps lift the look. A buff-looking roof rack, built into all Crosstreks, also keeps with the image. Inside, the look is very carlike--think the sportier side of small-car design, with a utilitarian flavor--and essentially the same as that of the Impreza but with more rugged upholstery surfaces and a few different trims. A straight-across dash and squared-off interior corners help maximize space, while a traditional analog instrument cluster and a suite of steering-wheel controls keep it feeling driver-centric. You’ll probably be content with the Crosstrek’s on- and off-road performance, but you'll have to be able to forgive its lack of reserve power for passing or the steepest hills. With a car-based design that's been buffed up and raised upward several inches, the 2013 Crosstrek is built to be ready for pretty much anything between perfect pavement and mild off-roading. And it's something of an everyday cross-trainer--good for the snow, a muddy track to a trailhead, a long road trip, or the daily commute. 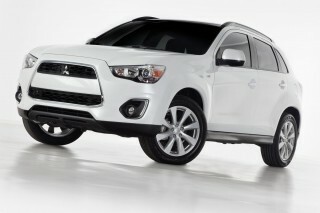 Considering its toughness, you wouldn't exactly expect the 2013 Crosstrek to handle quite as well on the road. Yet it's quite crisp and athletic in the corners compared to most crossover alternatives. Tall and tipsy just isn’t part of this vehicle’s vocabulary. And the electric power steering is light but very nicely weighted. Aside from feeling that you are a few inches higher, the driving experience is much more like that of a small sedan or hatchback than of one of the taller small crossovers like the Hyundai Tucson or Ford Escape. To make sure it's good for the trail, the Crosstrek gets up to 8.7 inches, plus various suspension and structural reinforcements, improved engine cooling, unique front fenders, and body cladding, that altogether make it quite different than the Impreza hatchback on which it’s based. 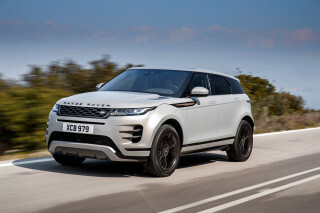 It also has good approach and departure angles (of 18 degrees and nearly 28 degrees, respectively), and with its all-wheel-drive system, which is always sending power to all four wheels, we think it might be one of the best vehicles yet for snowy driveways. Depending on whether you choose the CVT or the manual transmission, you still get a relatively different version of all-wheel drive. 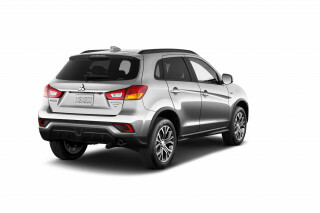 Automatic versions come with an electronically managed continuously variable transfer-clutch system, while manual Crosstreks come with a viscous-coupling all-wheel-drive system with locking center diff. As we’ve experienced in the past, both systems simply get the power to the surface—whatever that might be—but the system with manual-transmission models does tend to enforce the more direct, responsive driving feel. The powertrain isn't entirely disappointing, but it may be a sore point for those who need to load the family in for a long road trip. With 148 horsepower for about 3,200 pounds in a fully loaded Crosstrek Limited, and the engine’s peak 145 pound-feet of torque not reached until 4,200 rpm, this is not a sprightly or quick vehicle. We like the manual-transmission version of the Crosstrek, as it can respond quicker when you need to tap into a burst of power in traffic. The Lineartronic continuously variable automatic transmission (CVT) allows the Crosstrek to accelerate lightly or moderately with an ease and nonchalance that might suggest there’s more power on tap; only when you force harder with your right foot, the powertrain loses its composure at a particular point, revving the engine into its upper range, with more noise than additional thrust. Quick launches are a sore point; the CVT simply bogs down for a second or two before letting the revs rise, and it’s counterintuitively just as quick if you ease into a full-throttle takeoff than if you slam the gas to the floor. You can tap into six pre-set ratios with the included steering-wheel paddle-shifters, and that’s a workaround that we were happy with for all but the low-speed dashes. In any case, the Crosstrek’s towing ability is impressive—in the sense that many vehicles in this class (like the Countryman and Juke) don’t have a tow rating at all, while the Subaru is rated at 1,500 pounds. In fact, aside from feeling that you are a few inches higher because of between three and four extra ground clearance (the Crosstrek gets up to 8.7 inches, plus various suspension and structural reinforcements, improved engine cooling, unique front fenders, and body cladding to make it all feel quite different than the Impreza hatchback on which it’s based), the driving experience is much more like that of a small sedan or hatchback than of one of the taller small crossovers like the Hyundai Tucson or Ford Escape. Think of the Crosstrek’s competitive set as more along the lines of the Mini Countryman, Jeep Compass, and Nissan Juke—along with the Range Rover Evoque—and you’ll be on the right track. The 2013 Crosstrek has impressive ride comfort and is thoughtfully laid out for active gear, but its interior materials and trims don't transcend its affordable price. If you’re okay—perhaps even happier—with a vehicle that’s more spartan and utilitarian than lavish, the feel of the Crosstrek’s interior will fit you well. On the flip side, however, the cabin appointments never really feel greater than the Crosstrek’s price tag. Whether you're looking to travel in the front seat or pack the colleagues in the back seat for a short trip out to lunch, the Crosstrek does have well positioned seating for adults. The driver’s seat ratchets up and down for height, and this very tall driver found no problem getting into a comfortable position. Since the front passenger seat doesn't include height adjustability--leaving it in a sort of scooped-up position--some might actually be more comfortable in the back seat, which is contoured nicely for adults, and split 60/40, so with a lift of a small knob next to the outboard headrests you can flip the seatback forward; unless the front seats are at their farthest-back travel, you can do it with one arm. Ride quality, ranging from choppy two-lane roads and some expressways, remained impressive—and seldom pitchy or jarring off-road. The front strut suspension is essentially carried over from the Impreza, while the rear double-wishbone setup comes with pillow-ball bushings, which Subaru says helps ride comfort, stability, and agility. There’s one exception to the Crosstrek's composure, and that’s when you step down on the brakes firmly, or even moderately; there’s noticeably more nosedive than you’ll find in nearly all normal cars—and even some other crossovers—and the body tends to ‘whip’ back to center when you reach a full stop, unless the driver has finessed the last few feet. Stops are very confident nevertheless (Subaru installed larger front discs versus the Impreza), and pedal feel is reassuring. Subaru claims that the cargo space wasn’t designed for numerical claims but rather to be able to fit the kinds of larger pieces of gear that users might have—and after crawling around and folding the seats, we agree. The cargo space is surprisingly box-like, with a flat, straight-across cargo floor, and no confining strut towers, and for the main cargo area there’s a removable rubberized tray that would clean up (and hose off) very easily. Up on top there's a stout roof rack, capable of carrying 150 pounds, fitted to all 2013 XV Crosstrek models. Materials are unspectacular, and they feel done to meet a low price point; although if you've shopped around in this category you won't find them inferior by any means. With the Crosstrek’s LCD trip meter and base audio readouts, and its generally pleasant but very basic-feeling interior trims and surfaces, the Crosstrek has appointments that aren’t all that much different than those that Subaru was using a decade or more ago. 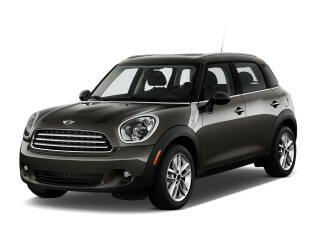 Its dash is topped with soft-touch surfaces, however, which helps bring better first impressions. The 2013 Crosstrek has better outward visibility than most other crossovers -- plus Subaru's reputation for good safety ratings. The 2013 Subaru XV Crosstrek is based on the Impreza hatchback, yet with a number of improvements to the body structure--in addition to its nearly four-inch-higher ride height, we can't extend the Impreza's excellent crash-test ratings and impressive record to this new model. 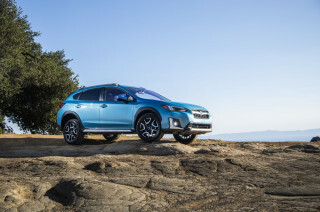 However, the Insurance Institute for Highway Safety (IIHS) has awarded the XV Crosstrek its Top Safety Pick award, which means along with its standard stability control, the Crosstrek earns "good" ratings in front-, side-, and rear-impact tests, as well as roof-crush tests. As a nod to the Crosstrek’s taller stance, Subaru added rollover sensors for the side-curtain bags (a feature the Impreza doesn’t get). Outward visibility is far better than in most other crossover vehicles, thanks to a reasonably low beltline, relatively thin front pillars, and enough rear glass to give you a good wrap-around view. A low price and strong feature set make the 2013 Crosstrek well within reach of the active types it's pitched to -- although its audio and connectivity features could be better. 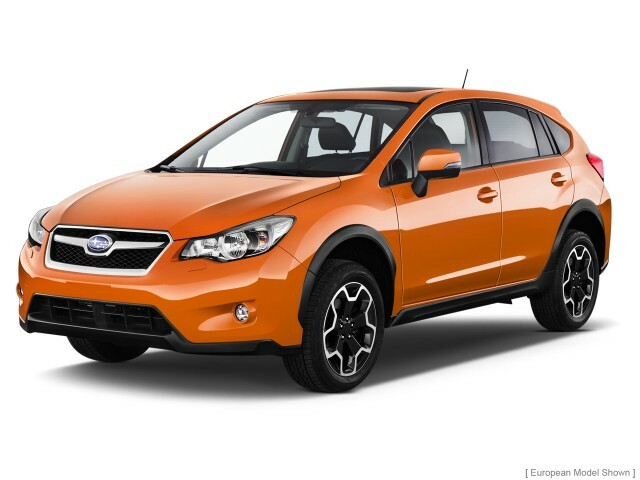 With a starting price of just $21,995, the 2013 Subaru Crosstrek Premium makes a very strong value proposition. Keyless entry, air conditioning, power accessories, cruise control, and a removable rear cargo tray are all included even in this base model, as of course are all-wheel drive, and all the bolstered, strengthened underpinnings that go into the Crosstrek. And even the Premium includes a removable rear cargo tray that can very easily be hosed off, and a roof rack that can hold up to 150 pounds. The base audio system in the Premium comes with Bluetooth hands-free and audio streaming, as well as a USB port and iPod connectivity, but its limited-character display makes scrolling through media-player contents a crapshoot. Leather upholstery, leather shift-knob and steering-wheel trim, automatic climate control, and a fold-down rear-seat armrest with cupholders are all extras that you get with the Limited. 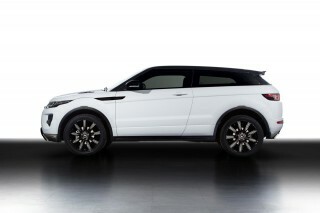 They also get a step-up display audio system with 4.3-inch screen, rear camera and HD Radio. On either the Premium or Limited you can option up to a navigation system with 6.1-inch screen, voice control, text-messaging capability, satellite radio, and XM NavTraffic. This system, which we were already not so fond of because of its small buttons, odd interface, and aftermarket feel, includes an SD slot prominently on the face, although it's not for media use. It will interface with various media formats through USB however. The 2013 Subaru Crosstrek gets the best mileage of any crossover. With EPA ratings of 25 mpg city, 33 highway with the continuously variable automatic transmission (CVT) and 23/30 with the five-speed manual, the 2013 Subaru XV Crosstrek is the most fuel-efficient crossover vehicle, based on EPA Combined ratings. Thanks to an especially wide range of ratios, as well as a somewhat more efficient version of Subaru's all-wheel-drive system, CVT versions do get better mileage than the manual in real-world driving; in a limited first drive we saw nearly 30 mpg in mixed conditions.